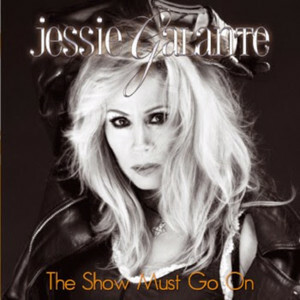 Out on the 12th of May via Tanzan Music, Jessie Galante releases her soul rock album “The Show Must Go On”. We had a listen at Paradise Rock HQ and were quite split on this one. Personally, my expectations were quite high for this. I’d heard her sing previously and was impressed. Jessie Galante has a unique, soulful voice, which i really enjoyed. And the list of musicians playing on and involved with the album was equally impressive. With names like Billy Sheehan (Mr.Big, Van Halen), Mario Percudani (Mitch Malloy, Ted Poley), Anna Portalupi (Tarja, Hardline), Rob Bailey, Jack Daley (Lenny Kravitz), and Alessandro Del Vechio attached to it, I was sure this album couldn’t fail to impress. However the album had a slow start. I struggled to get into the first couple of songs, but once track 3 came on, “Border Song”, a rework of an Elton John song, we started to hear Jessie’s vocals come to the fore, and from there the album got a lot better. I quite enjoyed the following song, “Drown”, and then from “More Like Love Divine” the album went from strength to strength. “Nights In White Satin” was a late addition to this album, and was recorded after the passing of Galante’s husband, double platinum producer Larry Swist (who produced a number of songs on this album). Joined on this song with performances from close family and friends, such as Billy Sheehan, Galante pours a huge amount of her heart into this song in honour of her husband, and you can clearly hear her heartbreak and emotion is this power house of a song. Overall, this album was not what I was expecting, and it started off slowly, but in the end I enjoyed it. I’d describe it as soul rock, and the first tracks definitely leaned more towards soul than to rock. If you need 1 reason to buy this, it’s “Nights In White Satin”. That song is worth the album price alone in my opinion. Verdict: 7 out of 10. The best rendition of “Nights In White Satin” I’ve heard, and that alone would be enough for me to own this album. Several good tracks here, Jessie herself sounds great. If you’re a fan of Lenny Kravitz, Aretha Franklin, Tina Turner, or Anastacia, then check this out. Check out her rendition of “Border Song” below. You can also see Heather’s opinion of this album, on The Bard’s Corner Music News below (although she was rather unwell at the time of recording).